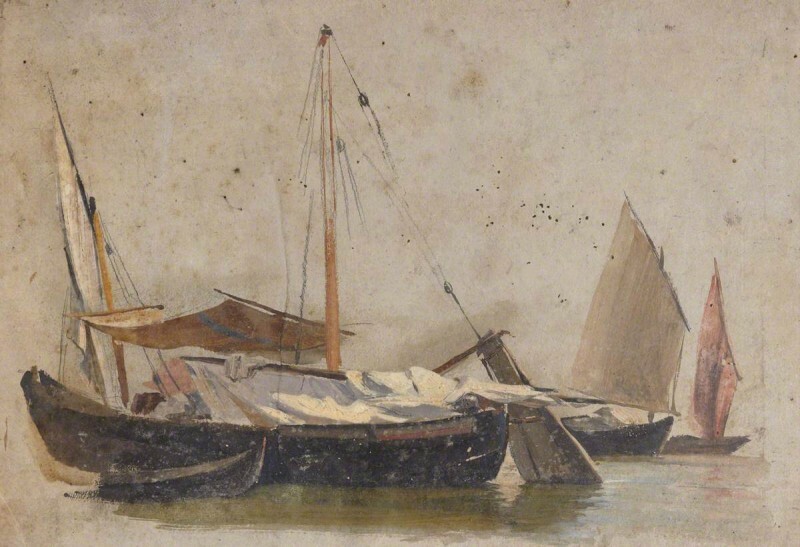 Art Detective Group Leader Pieter van der Merwe opened a discussion seeking further information about a maritime painting by Thomas Stuart Smith (1813–1869), since he had recognised that the boats appeared to have similar characteristics to those of Venetian vessels. Contributor Charles Payton initially suggested that the painting may have been created within the inner waters of Portugal but felt that the possible lateen-rigged boat made it difficult to conclude this. However, Merwe was able to refute any suggestion of Portugal or Spain, stating that Smith had not visited them, but had been to Venice. Another Art Detective contributor, Kieran Owens, supported Merwe’s statement by providing sources that showed clear similarities between the boats in the painting and genuine Venetian-style vessels. Owens also highlighted that the ‘small red band of colour… might well match with the colouring of the Batelo a Pisso design’ (a type of Venetian boat). Louis Musgrove then proposed that the boat looked like a traditional Bragosso – another type of Venetian fishing and cargo boat. Merwe, Group Leader of Maritime Subjects for Art Detective, concluded that the boats should simply be designated as Venetian working boats, as Merwe had identified the hoisted sails and lack of activity of the principal vessel, suggesting a boat ‘at moorings’. The research conducted in this discussion gained the approval of The Stirling Smith Art Gallery and Museum, who have since amended the painting’s title to Venetian Working Boats. The information on the Art UK and collection database has been updated accordingly.